Are you interested in contacting us? Click the button! Polish Folklore Import Co., Inc. has been proudly serving the U.S. for over 58 Years! We love our mother country and we would love to introduce you to our awesome products! We know that this is most important feature of the product. We value it! With the highest quality comes the best, reasonable price – at the same time – affordable. We are serving US for more than 5 decades. Ready for the new opportunity? We import only the best, highest quality products which are well known around the world. We would like to show everyone how Poland tastes and how to be proud polish. We provide the best, affordable prices for distribution of polish products. We know how important it is to spread consumer articles we get used to. We want to spread our mission not only among polish community but all of US residents. We ensure the best personal service to each and every customer. We value not only our products and prices but customers as well. Without good service there isn’t a good business. We are Importers and Distributors of Quality Foods and Confections of the top selling brands in Poland and other European countries. 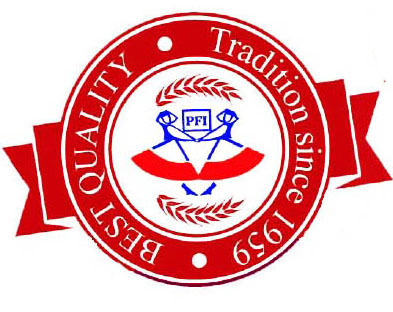 Family owned and operated, PFI has been serving both independent and chain stores all over the Chicagoland area and nationally through its network of major distributors. We continually seek out the best and most interesting items to distribute. The ingredients used by our manufacturers are premium quality. REAL sugar, no artificial sweeteners. Look for our products at a retailer near you! My husband purchased your pickles at our local Dillon's Marketplace, in Derby, Kansas, U.S.A. We loved them from the first jar, and always have a jar in the refrigerator now to enjoy with our meals and snacks. Our "Thank You" to everyone that works to make these delicious products. We have even shared these pickles with a new generation, our grandson, Matthew, likes them also. Keep making our very favorite Polish Pickles! >I really love your Vegetable Salad #4. Where can I buy it in or near Colorado Springs, CO in the USA? Love your product, but can not seem to find it anymore in my area, Traerse City Michigan. Do you know how I might get your raspberry syrup product?